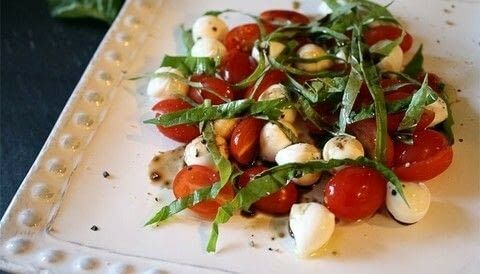 Caprese salad is one of the easiest recipes out there - to make the best caprese salad take care to purchase fresh ingredients. 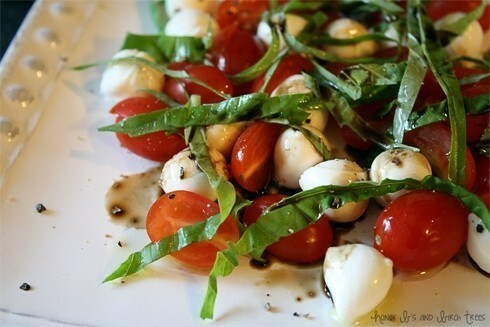 Arrange the cherry tomatoes, fresh mozzarella and basil leaves on a plate in equal amounts. Conservatively, dash balsamic vinegar, olive oil, salt and pepper on the plate.